New comparison reports allow buyers to compare software solutions head-to-head across hundreds and thousands of features and functions–all in a simple and user-friendly format. MONTREAL, QC, September 20, 2017 /24-7PressRelease/ — Technology Evaluation Centers (TEC) is pleased to announce the launch of its new Software Comparison Reports. Exclusive to TEC, Software Comparison Reports allow prospective buyers of enterprise software to compare top software solutions on the market head-to-head. They then receive a report showing how well each solution supports a comprehensive set of features and functions for that particular software category. Functionality ratings range from supported out of the box, to supported by a third party, to not supported–with nine different ratings in all. Ratings are based on the latest data supplied to TEC by software vendors. 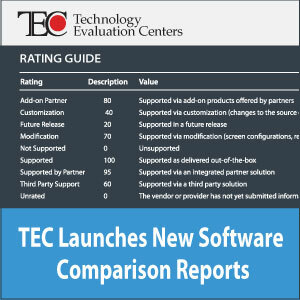 TEC’s new, user-friendly Software Comparison Reports can save enterprise software buyers months of research, giving them detailed information about specific functionality of the software solutions they are evaluating. The reports provide an at-a-glance, head-to-head comparison of the selected solutions’ relative strengths and weaknesses. This has proved to be an easy and effective way for organizations to easily determine if a solution supports their requirements and is worth further consideration or if it is lacking. It also allows for an informed, apples-to-apples comparison. The new Software Comparison Reports include a handy comparison table and an Excel spreadsheet that organizations can easily edit to customize their list of required features and functions–adding or removing features as needed. Organizations can send their customized list as a request for information (RFI) to software companies. Software Comparison Reports are available in all major enterprise software categories, including enterprise resource planning (ERP), supply chain management (SCM), accounting for small business, product lifecycle management (PLM), business intelligence (BI), analytics, human capital management (HCM), and others. Free Software Comparison samples are available in the TEC Store. 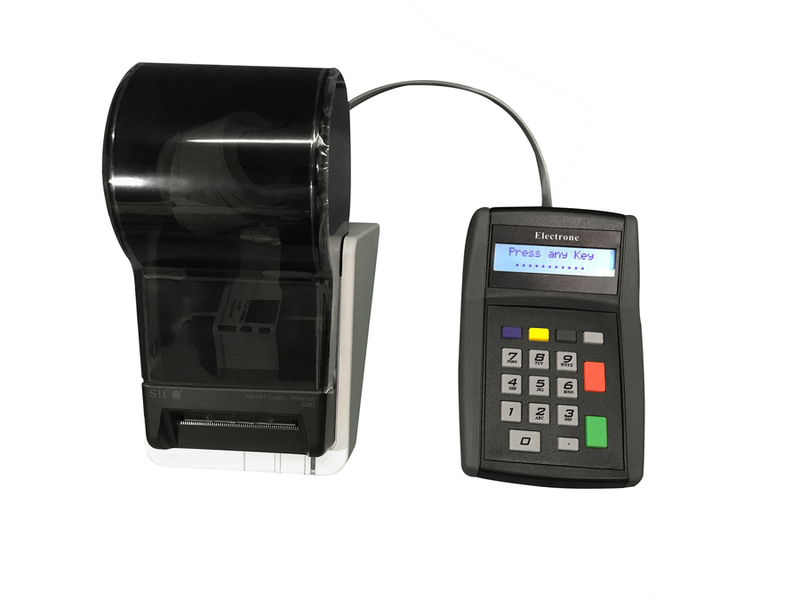 For more information about TEC’s Software Comparison Reports, phone +1 514-954-3665, ext. 404, or contact us online.